Caffeine addicts, you no longer have to feel guilty when you go for your fifth cup of Joe. Instead, eat a couple of these caffeinated bagels and amp up your energy levels while also staving off the hunger shakes. 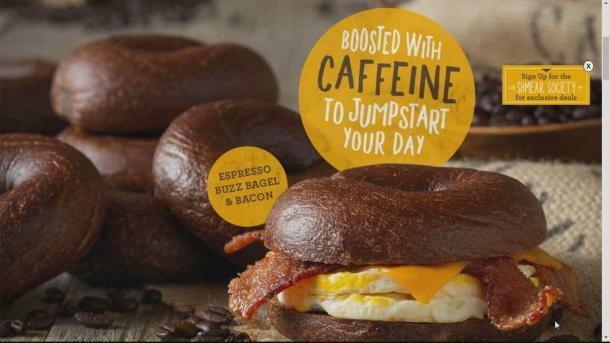 Caffeine is the eighth wonder of the world and with this new breakfast option by Einstein Bros. Bagels, we can finally live up to our full potential in the mornings. Making its debut on Thursday, the “Espresso Buzz Bagel” is the first caffeinated bagel in the world. Good work, Einstein Brothers! Fox News reported on the release as being part of the company’s “Boosted Bagel” flavor campaign. The bagel is reported to have 32 milligrams of caffeine, about a third of the amount in an 8 oz. cup of coffee. 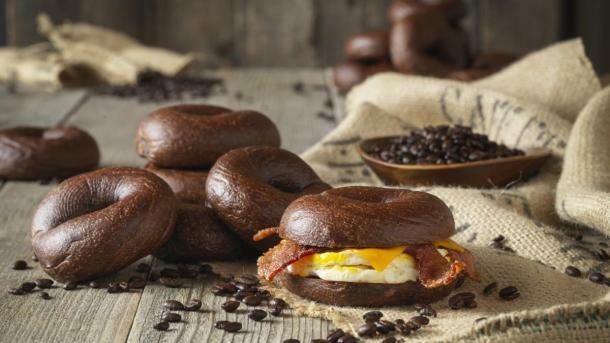 This caffeinated bagel is supposedly made with coffee-cherry powder, a protein derived from cocoa, and espresso. So, not only is it sweet and bitter, but it also makes a great addition to a real cup of coffee in the morning. I’d be interested to see what it tastes like after a good old dunk in my coffee. I am a relatively new coffee drinker myself, and I have to say that I love the idea. If craft coffee is a trend, which apparently it is, I am looking forward to even more caffeinated treats!